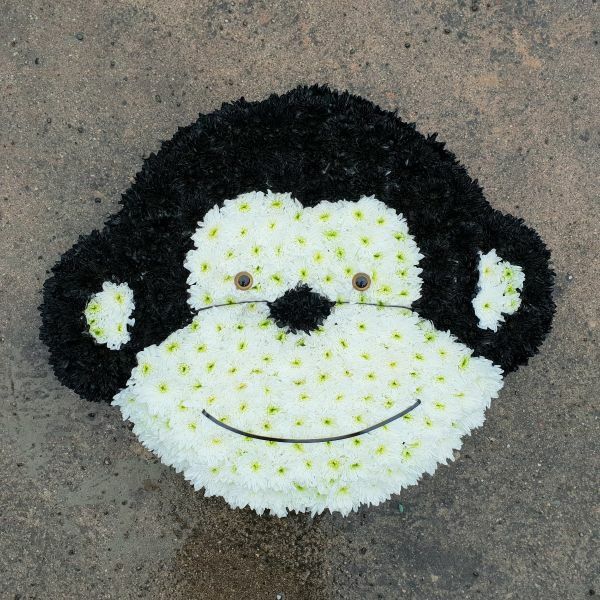 Our cheeky chimp tribute will soften the pain and raise a few smiles in memory of the deceased. Perfect as a tribute to a personality full of joy and a love of animals. A modern monkey with a big sentiment.